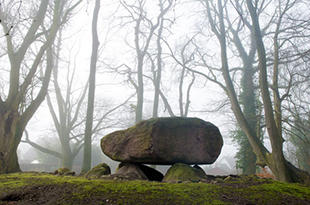 ROOTS aims to explore the roots of social, environmental, and cultural phenomena and processes that substantially marked past human development. 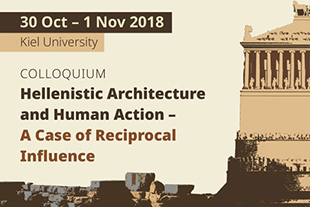 In a broad interdisciplinary conceptual framework, archaeological and historical ‘laboratories’ will be investigated under the basic assumption that humans and environments have deeply shaped each other, creating socio-environmental connectivities which still persist today. 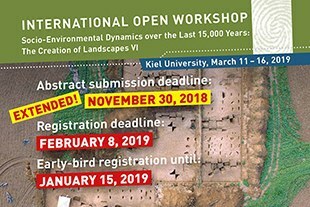 A better understanding of interwoven past socio-environmental dynamics will shed light on the ‘roots’ of current challenges and crises under diverse economic, ecological, and social conditions. The six subclusters investigate key dimensions of the ‘human condition’ with specific research questions. They also jointly address overreaching themes, such as mobility and migration, resources and economy, and ideology and identity in standing cross-sectional workgroups. The ‘Reflective Turn Forum’ applies an hermeneutic approach enabling ROOTS to embrace the manifold theoretical and practical approaches of the individual research units and therefore to reach an overarching epistemological and interpretative research dialogue. 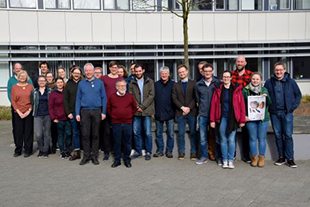 Within the broad interdisciplinary frame of ROOTS, the post-doctoral researchers and the doctoral candidates are hosted by the ROOTS Young Academy, which offers excellent conditions and unique career perspectives from scientific success and personal development. 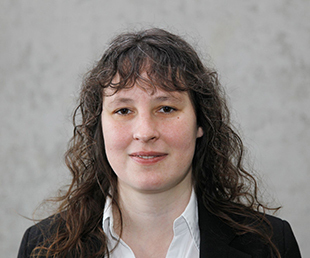 Furthermore, three extended research platforms for infrastructural advances support the integrated ROOTS research on past social environmental and cultural change. Environmental and climate changes, including human-induced alterations, are major threats and challenges to past and modern societies. They exacerbate existing problems regarding resources, nutrition, urban agglomeration, health, and social inequality, and may even trigger migration and conflict. 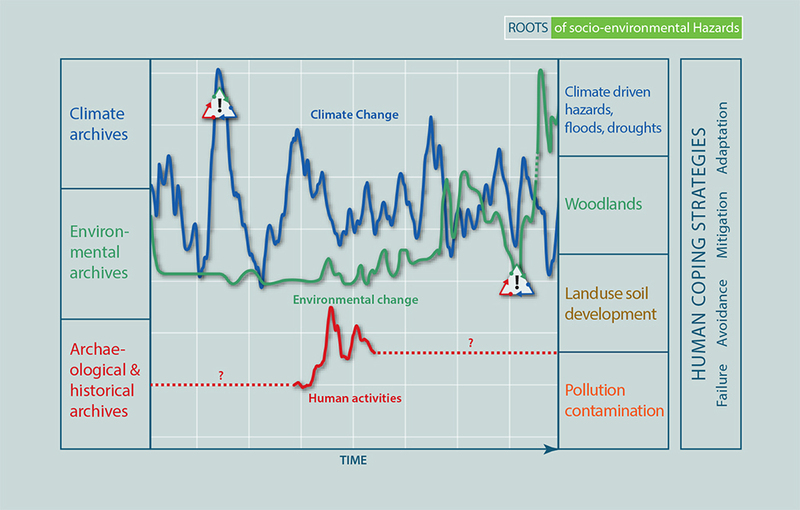 Short-term events superimposing mid or long-term environmental changes have recurrently threatened the stability of human societies ever since as well as during the Holocene, in particular, and erode social, environmental and cultural connectivity. In contrast, more stable periods lacking significant environmental extremes arguably foster societal connectivity and continuity as well as population and economic growth. 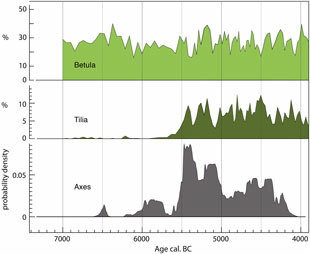 While human activities and thus their impact (pressure/stress) on environments have generally increased over the course of the Holocene, eventually reaching critical tipping points, human responses appear highly diverse on different spatial and chronological scales. 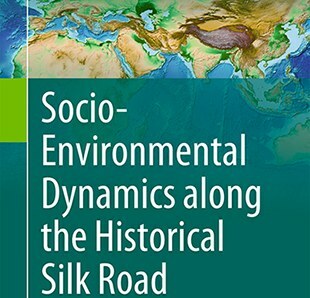 The ROOTS of Socio-Environmental Hazards aims at a new diachronic and comprehensive level of analysis on questions of socio-environmental hazards and human coping strategies in the past by interlinking methods and archives from environmental, social, and cultural domains. Main research questions addressed by the subcluster centre around: i) the occurrence, causes and impact patterns of hazard in human prehistory and history; ii) the consequences of environmental and associated socio-environmental hazards of differential intensity and timing (creeping versus abrupt) for societies; iii) the human responses to hazard and adaptive strategies to cope with socio-environmental stress; iv) the identification of human-induced stepping stones toward the Anthropocene and the question about when they became dominant drivers of environmental change. 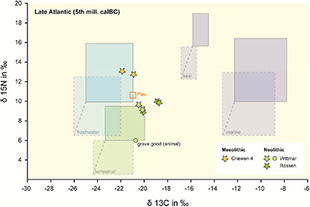 Humans are unique for their immense diversity in dietary intake, which has facilitated human adaptation to most environmental niches. This dietary flexibility is a major achievement of human culture. It is the result of a combination of the ability to develop new technologies that facilitate food production, diverse and highly evolved culinary traditions, and social rules that further shape human omnivore biology. 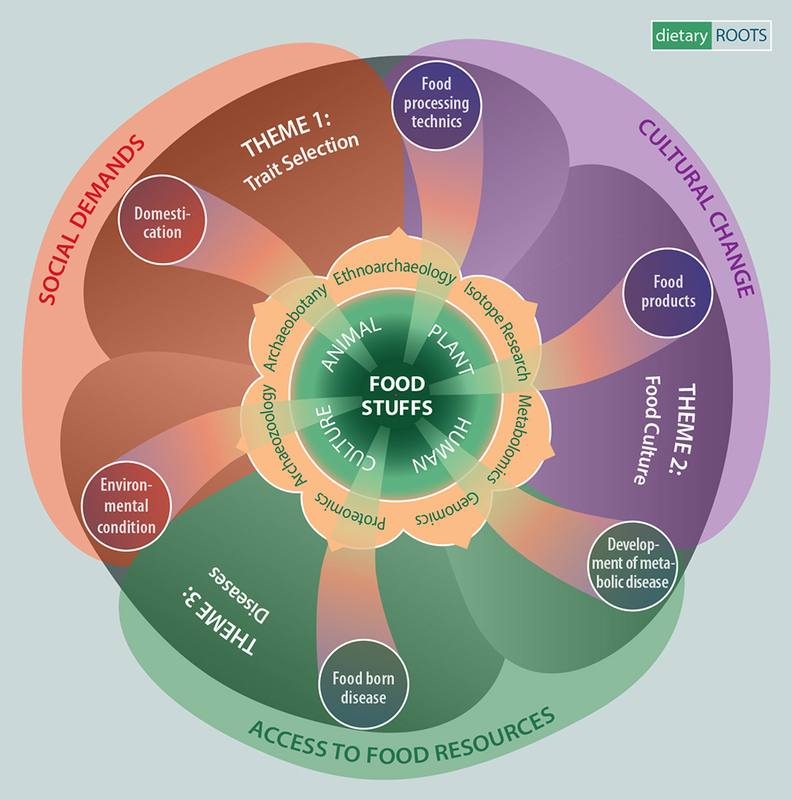 Determining the origins of foodstuffs and uncovering how cultural practices and connectivities shape dietary intake is key to diagnosing the relationship between dietary changes, animal, human and plant phenotypes, and disease. 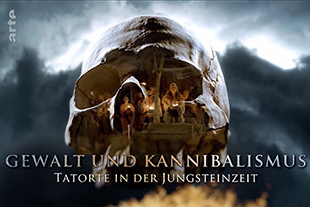 Dietary ROOTS investigates ancient subsistence practices by integrating archaeological and biomolecular techniques and will explore how such practices were reciprocally influenced by both environmental and social factors (e.g. 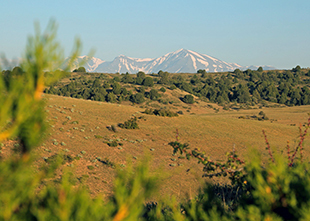 climate, land-use, social hierarchies, and worldviews) and identify the role that different degrees of connectivities played. 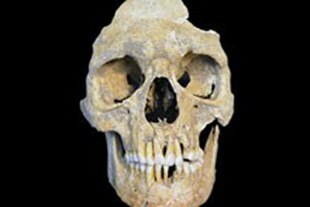 The Subcluster links these palaeodietary findings with the development of nutritional and metabolic diseases identifiable in the genomic, proteomic, metabolomic, and osteological record. Dietary ROOTS will achieve this via three primary research themes: 1) Food traits: The co-evolutionary dynamics between subsistence practices, economic goals, social demands, and trait selection in plants and animals by humans during domestication; 2) Food culture: The interrelationship between the development of food processing techniques, food products, and the socio-cultural sphere; 3) Diseases: The impact of food on the development of nutritional and metabolic diseases. The main research questions addressed by Dietary ROOTS are: what were the co-evolutionary dynamics between daily subsistence practices, economic goals, social demands, and trait selection in plants and animals? What was the impact of social-cultural factors on the development of food procurement and processing techniques and food culture? What role did trait selection in food sources and food culture play in the evolution of metabolic and nutritional diseases? Knowledge production is a pivotal driving force of the ‘human condition’. It stimulates social, cultural, and economic changes. The accelerated expansion of scientific, technical, and other forms of knowledge seems to alter societies and environments at ever-shorter intervals and at an ever-higher rate. Shared knowledge connects humans: knowledge production, dispersal, and acceptance shapes connectivity throughout history. Knowledge ROOTS applies the notion of knowledge not only as an accumulation of known facts or scattered information, but also as the connection between and among mental concepts, specific skills, and social practices. Technology is therefore a sub-concept of knowledge, as it comprises the techniques to produce or generate specific objects, contexts, and structures, whereas innovation represents novel solutions to challenges. Moreover, there are also cases of knowledge control, where knowledge, like other resources, is withheld and controlled by specific groups within society. Current research often studies knowledge production, innovation, and technology independently of each other. The aim of Knowledge ROOTS is to connect different forms of knowledge through three axes. One axis, episteme – i.e. knowledge in the broader sense – comprises both mental concepts (such as worldviews, religious ideas, cosmological models, and political concepts), as well as disposable facts, (basic subsistence strategies, astronomical evidence, and material properties). A second axis, techne, concerns technology: tools, skills, and procedures (including control and management of energy, arable farming, crafts, or literacy). 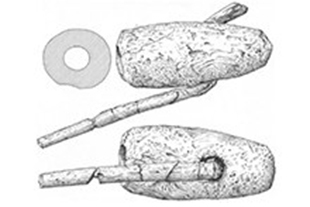 Technology is employed to produce artefacts and goods, and to provide services (e.g. medicine, education, and military). A third axis comprises praxis in the sense of structured behaviour (e.g. customs, ritual practices, and habits). In the research of the subcluster, each of these axes is associated with specific aims, theoretical analyses, methods, and archives. Our overarching motive is to understand how episteme, techne, and praxis connect in different natural, social, and cultural domains. Driving research questions of are: which kind of knowledge is produced in which way, where and when? To what extent is knowledge production connected to social conditions and/or individual genius? Which forms of knowledge have which kind of impact on social and/or environmental conditions? Which factors favour the spread of knowledge, which ones do not? 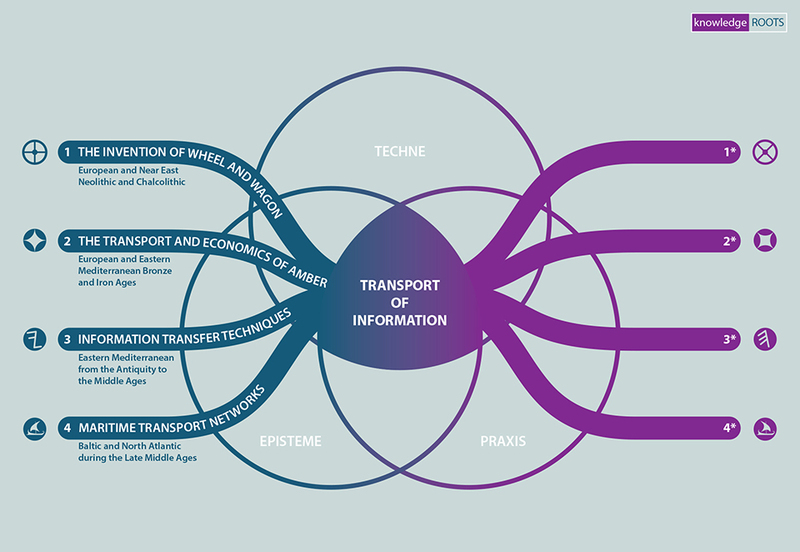 In which way do new contexts transform knowledge? Earliest towns and cities, where population agglomerations, new economic organization as well as the division of a controlled public and private space first took place, enhanced the development of urban bureaucracies, full-time specialist craftsmanship, and various centres of knowledge production. Urbanism brought forth new systems of production and trade and led to the emergence of new architectural and cultural concepts. The construction and perception of urban environments create ‘worlds of their own’ in stark contrast to the ‘natural’ environment. Thus, urban ROOTS will especially focus on the construction of these urban spaces and their actors, in particular, as perceived in ancient and Medieval cities. As cities have very specific dynamics, created by agency and perception of past urban actors, a reconstruction of these ‘dynamics’ as a specific structure of urbanity will disclose the driving forces behind urban development. the aim of deciphering the linkage between the development and the character of urban centres. Urban agglomerations constitute historically variable ‘hubs’ within dynamic networks. As nodes of environmental, cultural, social, political, and economic forms of connectivity, urban spaces protrude against the surrounding environment. Towns, cities, and metropolises are physically distinct loci, where multivocal, multicultural, and multilocal actors and groups with their agencies coexist and interact within their social, environmental, and cultural settings. 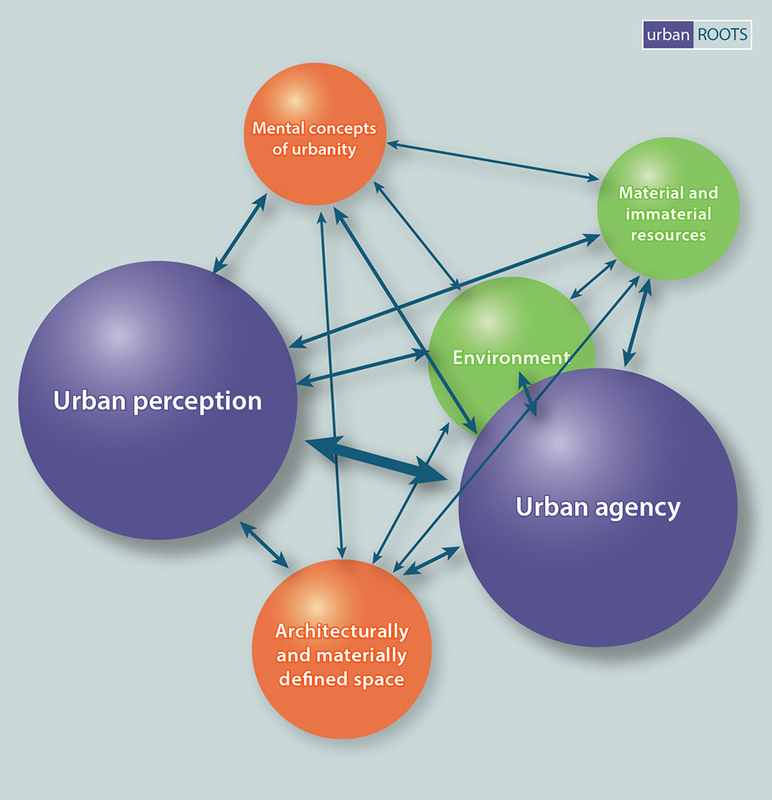 The concept of urban networks, where different forms of activities take place, enables Urban ROOTS to address questions related to different intensities and ranges of the urban foci as parts of complex networks. Accordingly, Urban ROOTS investigates the interdependence between urban environmental settings, material and immaterial resources, forms of urban design (architecture), mental concepts of urbanity, and forms of urban agency (e.g. formalized through institutions or non-formalized) and perception. Urban ROOTS approaches this socio-environmental network from the perspective of human (inter-)action and perception, which together produce urbanity. Modern market economies are characterized by substantial wealth inequality. This is subject to contemporary concerns: the exploitation of work forces, violent conflicts, and mass migration, to provide a few examples. Studying past forms and dynamics of inequality enhances our understanding of present social inequality and its consequences. The deep history of social inequality has been studied in archaeology, anthropology, and history, using different elaborate theoretical approaches. However, an enduring concern is the integration of empirical data from past archives. ROOTS of Inequalities develops methods to identify social inequalities and create a comparability of archives to enable a diachronic, empirically-based view on past inequality. ROOTS of Inequality aims at a systematic scrutiny of: (1) evidence for and the measurement of inequality and its spatial and temporal variation. How can we measure inequality as a social variable across different past socio-environmental scenarios? ROOTS of Inequality will identify suitable proxies and scenarios to measure social inequality in the past. For this purpose, multiple data must be integrated in order to analyse inequality. An interdisciplinary approach will develop a theoretical framework in order to make the evidence comparable across large spatial-temporal dimensions; (2) the dynamics of the emergence, persistence, change, and dissolution of inequality. How and why did social inequality emerge and widen? 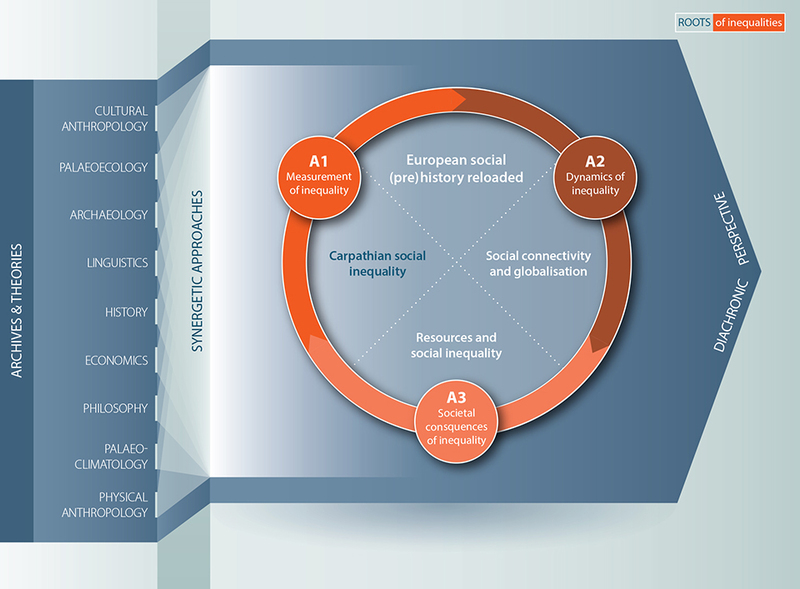 ROOTS of Inequality will identify the underlying incentives to accept, resist or obstruct the distribution of power and assets under different conditions; (3) societal consequences of inequality. Can we define limits of social coherence? Both the co-occurrence of different dimensions of inequality and the role of inequalities in affecting the development of societies will be investigated. 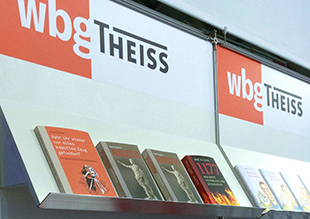 The synergy of multiple disciplines and the deep historical perspective will enhance our knowledge of factors that trigger inequalities as well as our knowledge of their interrelations, about the short-term and long-term as well as local and global consequences of different inequality regimes. 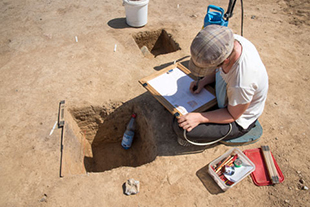 The main challenge is the connection of the conceptual elaboration to the archaeological and historical empirical data. Among environmental and social constraints and adaptive processes, conflict is an imminent risk and a constant challenge for human societies. Whether with a steadily increasing world population, conflict increases or even decreases in the long run are controversially debated. Arguably, societies have increasingly managed to reduce the potential for violent conflicts in the long-term perspective. 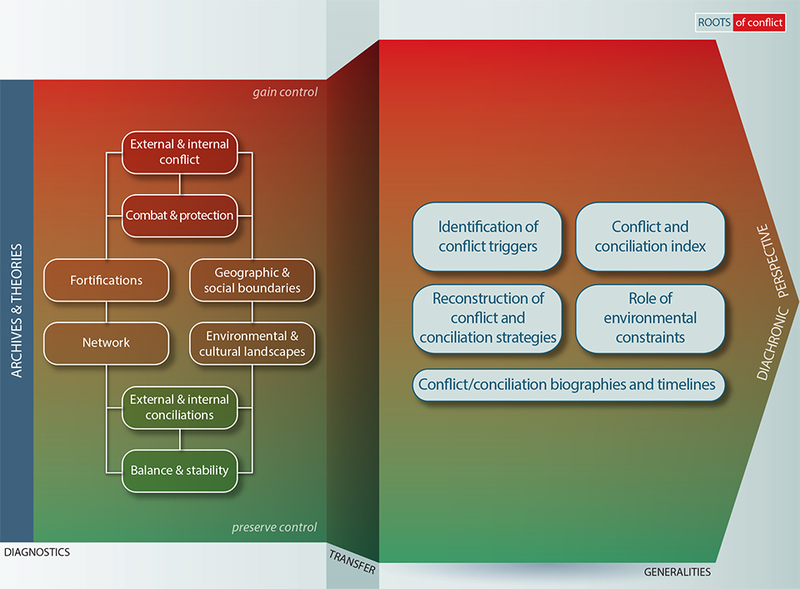 Thus, the study of conflict potentials and their impact on past societies can inform us about the conciliatory ability of humans to overcome or transform conflicts, shed new light on the roots, formation, and development of conflicts, and provide more complete patterns of conflict distributions and their regional biographies. The subcluster aims at an empirical and theoretical comprehension of past conflict causes, trajectories, and conciliations by: (1) disentangling complex connectivities of social, environmental, and cultural causes and triggers of past conflicts on the basis of refined sound timelines; (2) both reconstructing conflict biographies and measuring conflict potential variables in order to make past conflicts diachronically comparable in terms of their severity and consequences; (3) constructing models of characteristic courses of conflicts and their conciliation; (4) developing a revised understanding of the possible longue durée of conflicts and conciliations. In contrast to current theories focussing on violence, new conflict theories will be formulated with a focus also on conciliation aspects, and it will be clarified whether conflicts generally follow ‘typical’ patterns. Finally, the diachronic development of conflicts and conflict resolution with regard to causes, effects, escalation levels, and long-term effects will be distinctly better understood. ROOTS of Conflicts focuses on the following main research questions: What were the spatial and social scales of conflict in past societies? Which risk and prevention strategies were adopted in the past? Which factors, intensity, and thresholds determined whether conflict is escalated, transformed, or resolved? Were the occurrence and intensity of violence a matter of social organisation? 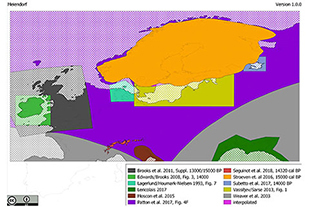 These questions will be addressed by taking into account the role of landscape, natural environment, and subsistence in shaping conflict dynamics, as well as through identifying the scale of spatial, social, and linguistic boundaries, the interaction of these delimitation criteria between and within societies, and the role of territoriality and borders in conflict resolutions. A focus will also be placed on questions related to the qualitative differences in material culture and language that may indicate competing strategies, the implications of trade relations, and the exchange of technology and people. 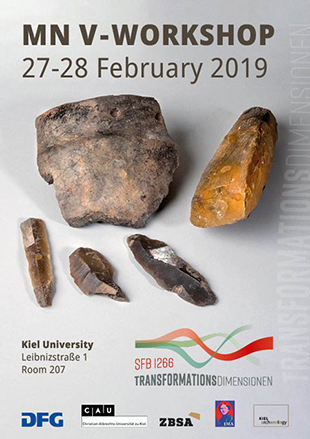 The ROOTS Reflective Turn Forum provides an interface and open space ("freie Raum") to facilitate a collective effort across the cluster to think critically beyond disciplinary boundaries, and shares theoretical concepts between the different disciplines. In particular, the Reflective Turn Forum aims at sustaining debate and exchange with respect to new research results and theoretical questions. It entails reflection on causal categories in theories (proximate, fundamental, ultimate causes, pressures, triggers, drivers etc. ), the abstraction of general patterns, and how concepts and assumptions are integrated into models. It also includes reflection on social categories, such as function, agency, motivation, labour, power, and belief system. Specifically, the ‘Reflective Turn’ agenda focuses on two main research strands: 1) Epistemological Review, i.e. the critical reflection on knowledge production within ROOTS. The competition between theoretical approaches and paradigms (e.g. materialism, social evolutionarism, eco-determinism, culturalism and post-structuralism) requires reflective scrutiny. 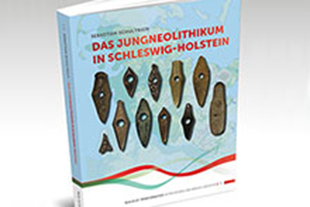 This first dimension is comprised of epistemological topics among others in history and archaeology, including a current turn to a new generation of science-based inquiries; and 2) the explanatory potential for present challenges. The questions concerning the relevance of past developments for the present and future touch upon a highly contested issue, which is enquired under the general questions of: in what way and to which extent are the research results concerning past societies relevant to present societal challenges and even possible future dynamics? How and in what respect can this relevance be supported? ROOTS will follow an approach that will try to identify patterns of past developments in different domains and discuss the dimensions of their significance. 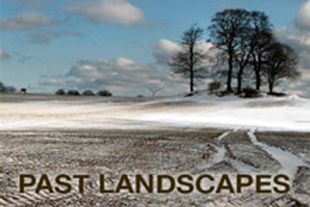 Discussion meetings, reading seminars, and presentations by ROOTS researchers as well as series of guest lectures and international workshops will sparke debate and exchange on the epistemological concerns and present-past connections. It is expected that these activities and discussions will expand research agendas by iteratively reflecting on single and multiple research topical foci. 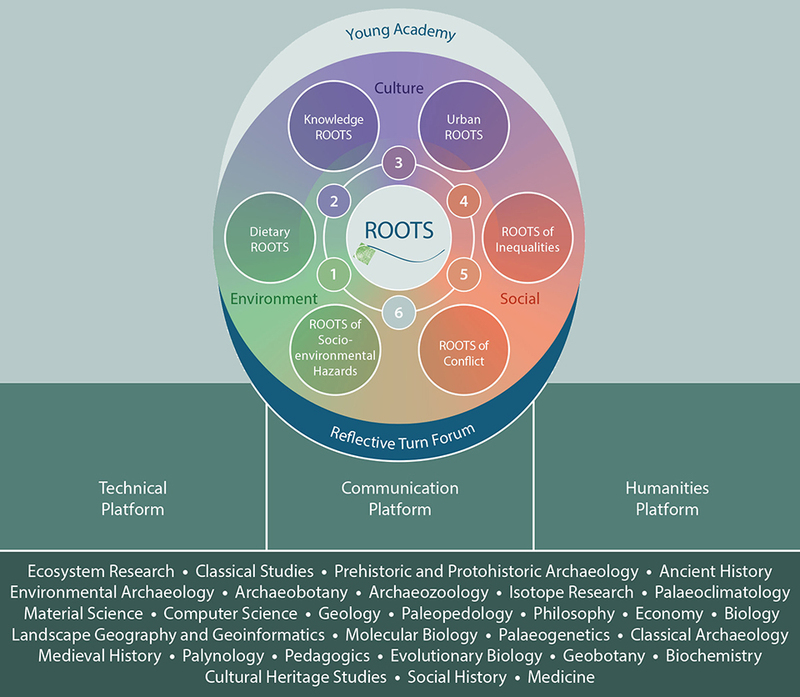 The ROOTS Young Academy fully integrates and supports early-career researchers within the broad interdisciplinary frame of ROOTS in a highly stimulating research environment. The ROOTS Young Academy, along with the Reflective Turn Forum, is designed as an open academic centre for interdisciplinary training and exchange among young researchers and all ROOTS members, as well as a forum to host international partners and guests. Here a community of excellent young researchers can efficiently evolve research profiles into novel fields and benefit from mutual cross-disciplinary fertilization beyond traditional faculty boundaries. The ROOTS Young Academy intends to attract high potential young researchers from graduate to junior professor levels, and provide them with excellent conditions to scientifically prosper and to individually develop. Means of interaction within and beyond science include regular topical workshop series organized by the Young Academy members, the Young Academy lectures by internationally leading experts (ROOTS chairs) as well as advanced training opportunities. 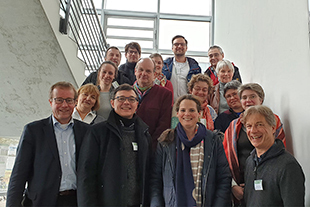 As a vivid platform, it is anticipated that the Young Academy will also further shape Kiel University’s profile, enhancing the international visibility of its research priority area past Societal, Environmental and Cultural Change (SECC). The interconnected research activities of ROOTS rely in large parts on technical infrastructure and corresponding scientific-technical expertise. 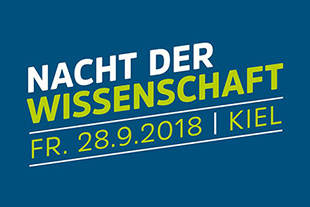 Accordingly, the ROOTS Technical Platform together with Kiel University and participating institutions support access to a wide spectrum of advanced field techniques and analytical instrumentation to address a wide variety of research questions. 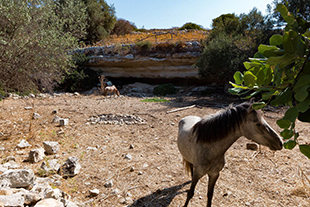 The Technical Platform provides expertise and support enabling research projects to rely on well-proven approaches as well as to test new research ideas within three main foci: 1) Field expertise in geophysical, archaeological, and sedimentological explorations; 2) Analysis of finds within archaeobotanical, palaeoenvironmental and zooarchaeological studies, nanoanalytics, dating techniques, biomarkers, stable isotope and trace element analysis, molecular genetic analysis and materials sciences. 3) Information technology, providing support for information technologies, including multidimensional information systems and visualisation, enhance the innovative possibilities of field surveys and excavations. Furthermore, by expanding the quantity and quality of data of different nature, new data management and integration strategies are developed (this focus is shared also with Platform 3). 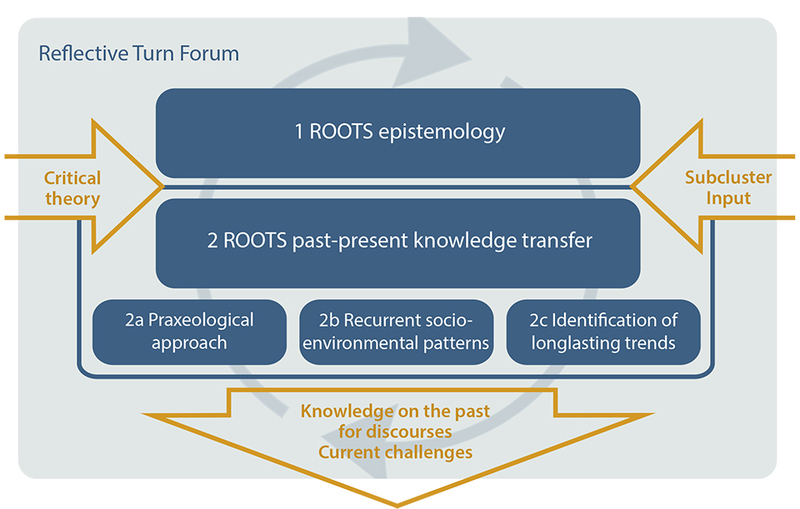 Addressing questions of high relevance to past societies and environments, the broad topical framework pursued by ROOTS ideally offers the opportunity to develop and test new approaches in science communication. 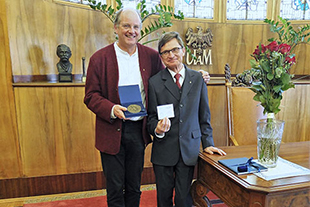 The communication platform will provide an interface for knowledge transfer, addressing ROOTS and Kiel University scientific communities as well as external audiences, from school pupils to politicians and stakeholder groups. 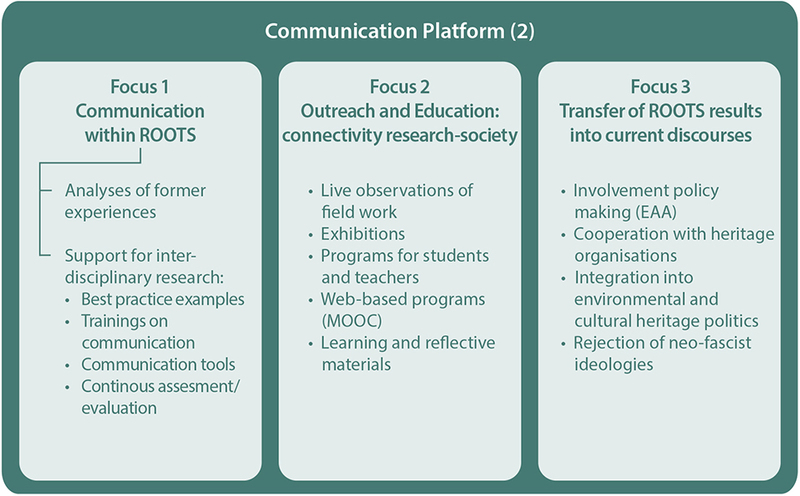 The Communication Platform builds on the Graduate School "Human Development in Landscapes" expertise and pursue a three-fold approach: 1) Communication within the multidisciplinary ROOTS research teams, focusing on challenges and opportunities of inter- and transdisciplinary cooperation, and building explicit links between different research domains and levels of university teaching; 2) Outreach and Education to develop and carry out different outreach and educational measures; 3) Transfer of ROOTS research results into current discourses on environmental and societal development as well as natural and environmental heritage protection including the so-called ‘Raumplanung’. 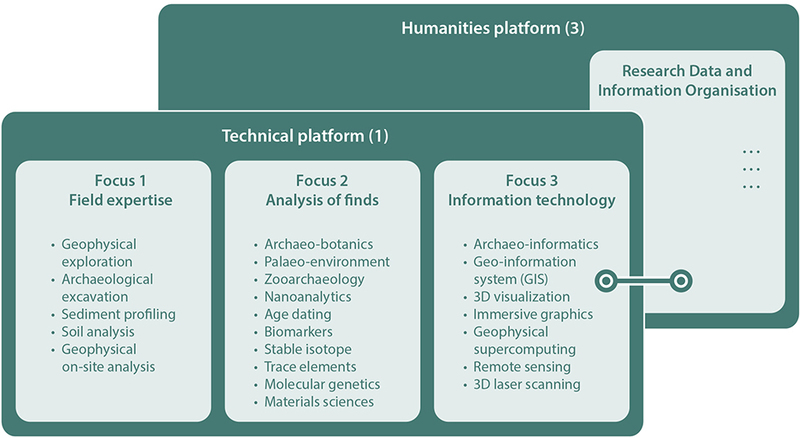 The Humanities Platform is intended as an instrument to make data openly available for the cultural-historical interpretation of the human-environmental interactions, i.e. 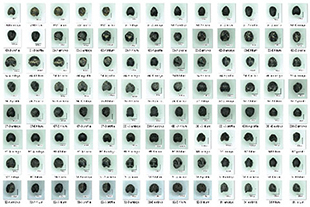 the core research foci of ROOTS. 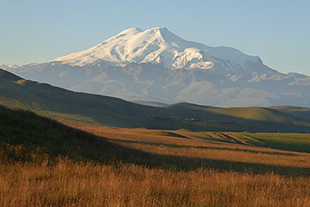 The Graduate School "Human Development in Landscapes" has already established and developed a specialized library for interdisciplinary work in socio-environmental research and has bundled expertise in the Digital Humanities . 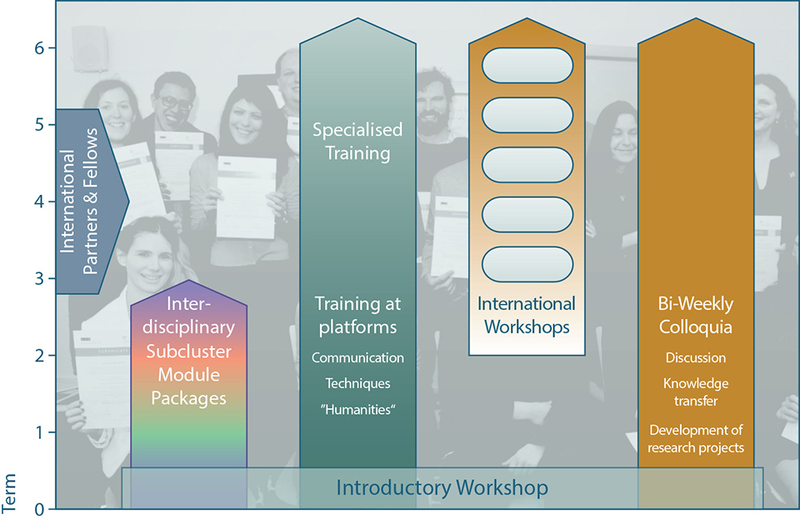 Building on this experience, the Humanities Platform is structured around three main pillars: 1) Research Data and Information Organisation, which makes the large and heterogeneous collection of data generated by research activities within the cluster available in an easily accessible form, not only to ROOTS members, but also to the wider scientific community. 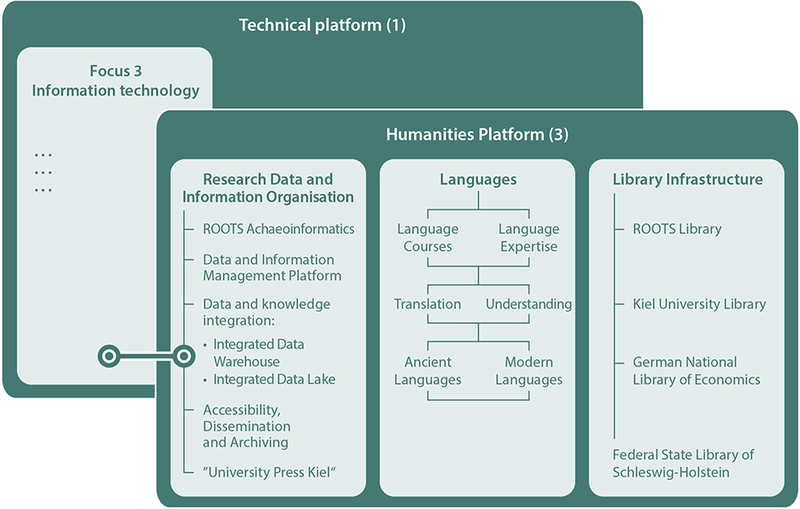 This is to be achieved primarily by situating the data in space and time as common attributes; 2) Languages, which offers continuous support and numerous specific courses in order to facilitate translation and a comprehensive understanding of ancient texts and their cultural background; 3) Library Infrastructure, which provides access to the wide offer of the Kiel University Library network.